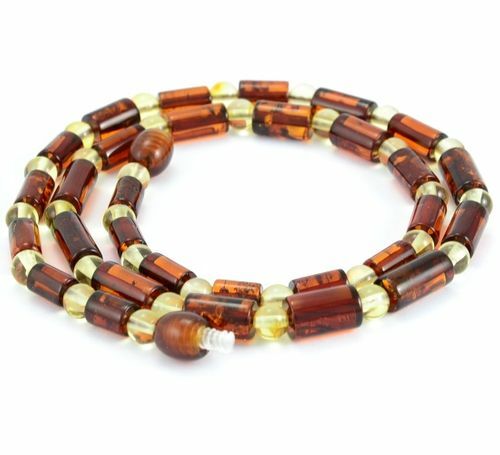 Stunning Men's Necklace Made of Cognac and Lemon Baltic Amber. Stunning, Healing Men's Necklace, our Men's Amber Necklaces are made to complement any look, anytime. * Color(s): Cognac and Lemon. * Shape: Cylinders and Round Shape Beads. * Cord: Cotton string. There is no knotting in between the beads. The color of Amber may vary from necklace to necklace due to each necklace being hand made from natural materials. 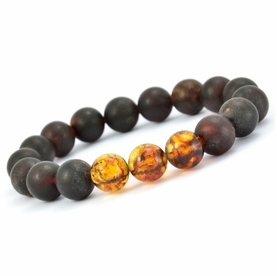 When it comes to natural healing, harmony and well-being, natural Baltic Amber is unmatched. 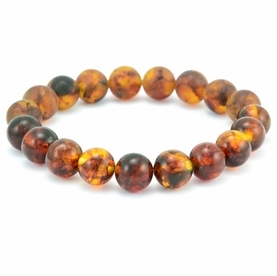 Baltic Amber improves the body's immunity, healing the mind and spirit and so much more. 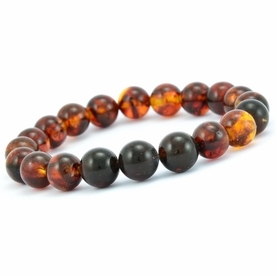 Many wearers believe that Amber also inspires prosperity and success. Lear about the healing benefits of Amber. Baltic Amber is an organic substance, a Fossil Resin produced by pine trees which grew in Northern Europe over 45 million years ago. Learn about Baltic Amber. Our products have made thousands of satisfied customers and created lots of repeat business. Learn more Why Buy From Us. 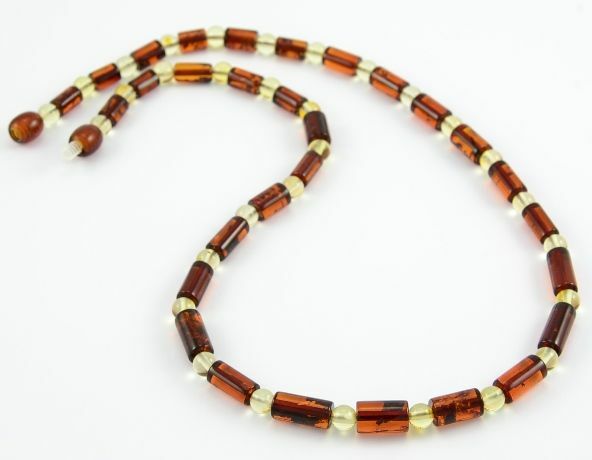 How to care for Men's Amber Necklace. PLEASE CHOOSE SIZE. If you need a special size, we would be happy to make it to your specifications.